We are experienced communicators with expertise in helping clients share their stories with the audiences that matter to them. teamworks works with clients to create meaningful messaging and content. We work to connect clients with their audiences to promote active engagement with their organization or products. teamworks becomes part of your communication team. We collaborate with your internal staff, as well as appropriate external resources for greater efficiency and effectiveness. Most of all, we communicate with and on behalf of our clients. It may sound obvious, but our proven ability to effectively share ideas and encourage dialogue is essential to the success of our clients’ public and donor relations efforts. 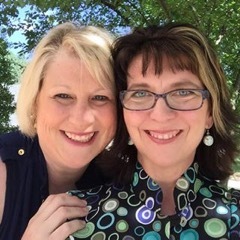 Barb Harris and Sharon Kreher, seasoned communication professionals who began their careers with large PR agencies, also have extensive backgrounds in consumer retail communications. Experienced communication project managers, they access a network of communication professionals they helped found to provide media relations and feet-on-the-street in markets throughout the United States, Puerto Rico and parts of Canada. Past and present clients include United Food Bank, Feed My Starving Children, Blockbuster, 7-Eleven, Make-A-Wish America, Hope 4 Kids International, White Castle, and many more nonprofit and for-profit organizations. Volunteer PR includes work for Tempe Empty Bowls, Mission Africa, Crohn’s and Colitis Foundation, Downtown Tempe Foundation and Homeless ID Project.